There are many text books about engineering design and some include project evaluation techniques. There are text books on accounting methods and yet others on business management. This book does not aim to replace these specialized texts but brings together the elements of these subjects that young engineers working in industry – particularly the construction industry and its customers – need to understand. Most engineers learn about money the hard way: by experience in the workplace. The authors having done this themselves recognized the gap in engineers’ education and set out to bridge it. This book is based on a 1996 course George Solt pioneered for final-year engineering undergraduates. 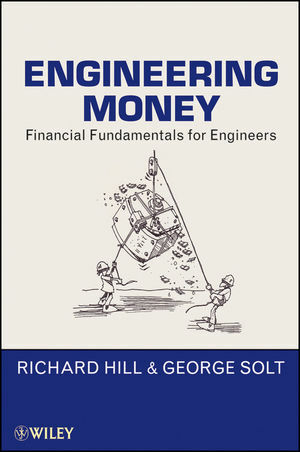 The book is written in an approachable style and gives young engineers as well as mature engineers an insight into the way engineering businesses run, the importance of capital and the problems of cash flow. RICHARD HILL worked for twenty years in design and proposals in the contracting industry and served as marketing director for a specialist process plant contractor. He now runs his own independent consultancy and lectures at Cranfield University, University College London, and UNESCO-IHE in Delft, Holland. GEORGE SOLT spent thirty years in industrial research and development serving as technical director in two-specialist process plant contracting companies before becoming a full-time academic at Cranfield University and University College London. Chapter 1 What’s It All About? Chapter 4 How Things Can Go Wrong—1. Chapter 7 The Year’s Business Plan. Chapter 8 How Not to Go Bust. Chapter 10 What’s a Contract? Chapter 11 Conditions of Contract. Chapter 12 How Things Can Go Wrong—2. Chapter 16 How Things Can Go Wrong—3. Chapter 17 Other Types of Contracts. Chapter 18 Terms of Payment. Chapter 19 How Things Can Go Wrong—4. Chapter 20 Planning Contract Execution. Chapter 21 Procurement and Monitoring. Chapter 22 Paying and Getting Paid. Chapter 24 Using Your Judgement. Chapter 25 Health and Safety Aspects of Design. Chapter 26 Green Engineering and Greenbacks. Chapter 27 Research and Development. Chapter 28 The Love of Money. Appendix 2 Critical Path Analysis. Appendix 3 Project Evaluation Techniques.